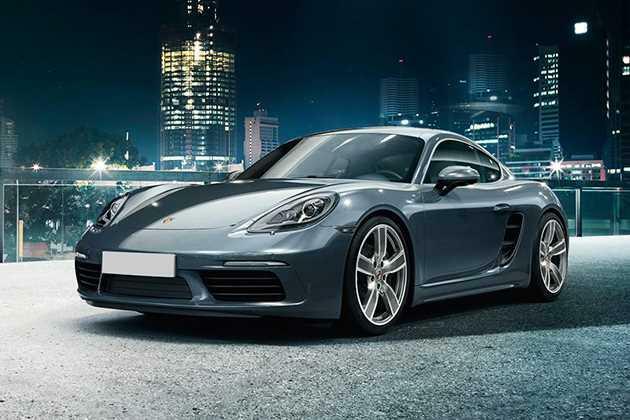 Porsche Cayman S Triptronic is one of the variant in its model series. The company has moulded this vehicle with the same uncompromising policy on all facets. It is powered by a 3436cc engine, which comes with aluminium block and cylinder heads. The vehicle can glide to a top speed of 281kmph, and can touch the 100kmph mark in a mere 4.7 seconds. The car's look has been invigorated with its aerodynamic shape, strong body lines, alloy wheels and many other impressive factors. Its structural superiority also ensures a high level of safety when driving. The interiors have been delicately designed, giving a pleasant drive environment along with many comfort features. A two zone automatic climate control permeates the cabin with an enjoyable aura. An optional Burmester High-End Surround System and BOSE Surround Sound System are also present for quality entertainment. Also present are LED reading lights, three 12V sockets, a lockable glove compartment, and rich leather appliqués all over the space. The car has also been programmed with high-end drive systems. Beside the conventional ABS and EBD, it also has Porsche Stability Management, which consists of automatic brake differential, engine drag torque control and many others. A car with the Porsche emblem retains a touch of genius with respect to looks, and this model accomplishes just that. Its slender build, streamlined silhouette and low profile make it the ideal speed machine, and at the same time, boost its appeal to the finest level. The prominent wings add a dynamic vision to the front, and this is further improved by the large air intakes at the bottom. The under-body paneling and a front spoiler lip add elements of function to the design. The circular headlamp clusters host Bi-Xenon light systems and a dynamic light system for added visibility. The large structure of the hood underlines the vehicle's masculine appeal, and this is further improved with sleek curvatures lines. Well sculpted fenders add to the vibrant look of the side. The roof line extends all the way to the rear area, making an imprint for the vehicle's distinctive character. A rear wing deploys when the vehicle crosses 120kmph. The cabin is suffused with an aura of warmth and comfort. The steering wheel rim, the gear lever and the door handle inlays are done up with an expensive, smooth leather finish. The seats are dressed in fine Alcantara/Leatherete, ensuring a more prominent feel for the occupants during the drive. The 'Cayman' logo is present in front of the gear lever, imparting a more bold and distinctive feel for the cabin. The dashboard, center console, glove compartment, door release levers and air vent surrounds are polished with a Galvano silver finish. A more enriched quality is given by the roofliner. A fine leather treatment is also given to the door panel armrests and the center console storage compartment lid. The ascending center console adds a unique impression to the cabin, while at the same time, allowing an element of utility to it. The machine has been equipped with a 6 cylinder engine that has a raw displacement capacity of 3436cc. It generates a power of 325bhp, coupled with a torque of 370Nm. It has four valves per cylinder, and the presence of a hydraulic valves adjustment system aids in its working. The efficiency of the drive-train is enhanced with a VarioCam plus valve timing and lift facility. The direct fuel injection system ordains effective fuel transfer, and this is further improved with an integrated dry-sump lubrication system. A 7 speed PDK transmission ensures smooth shifting and better performance. Four-piston aluminum monobloc fixed calipers are present by the front and rear wheels, and these discs are internally vented and cross-drilled for superior quality. Meanwhile, a lightweight spring strut axle strengthens the chassis arrangement, and it is supported by an anti roll bar at the front and rear. In addition to this, many reliable techno aids help to govern control, such as the anti lock braking system, electronic brakeforce distribution, and anti slip regulation. Electric windows relieve strain for the occupants, and they come with a one touch operation. Going along with this are electrically adjustable/heated exterior mirrors. The element of comfort is improved with an electric backrest adjustment facility for the seats, along with a height adjustment feature as well. Integral headrests have also been provided, supporting the occupants' heads and necks and discouraging injuries during mishaps. Vanity mirrors are present, along with sun visors. Cup holders in the dashboard give ease of storing beverages. A standard CDR audio system comes along with a CD radio, an Aux-In facility and a 7 inch touchscreen for the most exotic entertainment experience. The headlights come with integral direction indicators, while the tail-lights have LED, brake indicators and reversing lights. Full sized airbags protect front occupants, while three point inertia reel seatbelts strap in all of the passengers. There is an ISOFIX by the passengers' side in addition to all of this. A Porsche Side Impact Protection incorporates elements of protection by the side and the doors. Beside all this, the car has a structurally integral bodyshell, which exerts a good level of safety on the occupants always. An alarm system and an engine immobilizer bring security to the vehicle as well. 2. Range of techno aids to promote control. 1. The top speed for this variant is rather weak. 2. In-cabin entertainment could be improved.